The Massachusetts Green High Performance Computing Center (MGHPCC) provides state-of-the-art high-performance computing resources for UMass Amherst faculty and researchers pursuing a diverse body of research. 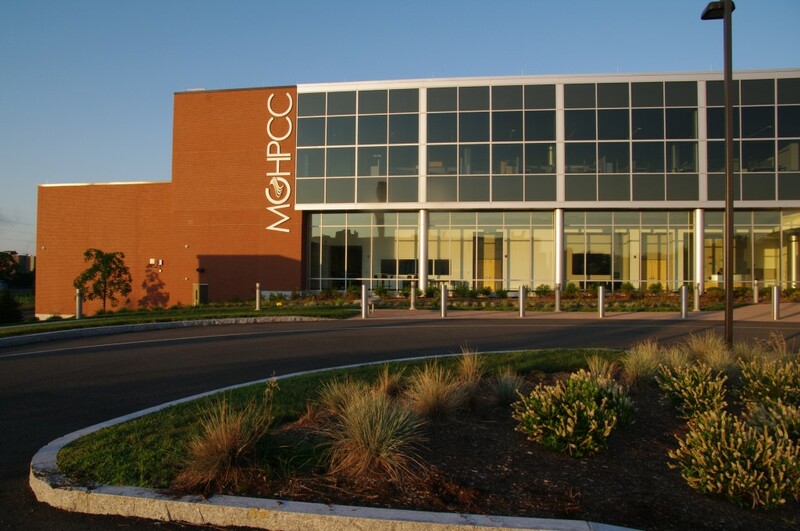 Located in Holyoke, MA and featuring a green design, the MGHPCC supports the computing research needs of five of the most research-intensive Universities in the Northeast (Boston University, Harvard University, MIT, Northeastern University, and the University of Massachusetts). With high-end computing equipment and storage, including thousands of CPU cores and GPU cards, UMass Amherst operates one of the biggest GPU clusters in the nation in the MGHPCC. This includes the UMass System Shared Cluster, available for general use to UMass Amherst researchers and researchers from other UMass campuses. UMass Amherst researchers can use this page to get started using the data center and its high-end computational infrastructure for research in science, engineering, and other areas of academic scholarship as well as learn what resources and additional clusters are available to them. To request access to the UMass Shared Cluser, fill out an application form at www.umassrc.org/hpc/ to get immediate access and 50GB of storage - with no initial commitment (PIs can request more storage via an email to hpcc-support@umassmed.edu). Note: you must be connected to the UMass Amherst network (i.e., have a UMass Amherst address for your computer) to access this form. You'll be notified by email when your account is ready. You will also automatically be added to the MGHPCC user group mailing list (moderated): ghpcc@list.umassmed.edu, which is used for announcement purposes. There is also an opt-in email list: https://www.umassrc.org/hpc/ghpcc-discussion.php. These are great resources for asking and answering user questions about the UMass MGHPCC shared cluster. Cost: Researchers utilizing the Shared Cluster will be provided an annual level of computing subsidized by the university (up to 10 CPU years). Groups using over 10 CPU years will be assessed a charge of $59 per CPU year. This charge will be assessed on a quarterly basis once you have exceeded the CPU years subsidized by the university. With high-end computing equipment and storage, including thousands of CPU cores and GPU cards, UMass Amherst operates one of the biggest GPU clusters in the nation in the MGHPCC.